Yeaaah. Yesterday it wouldn’t connect and showed a warning page, and today it told me some fake flash updater tried to auto install. Is that from the shorte.st link? 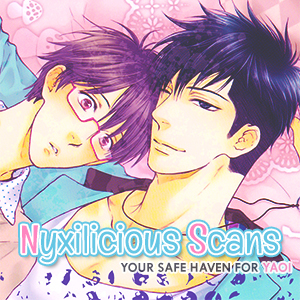 Yeah, both the links for the download for Hello Again and the online reader link for Sayonara Note. When I go through the project page links on your site, it’s fine. thank you so so much for updating despite everything! Thanks so much! Your new ad stuff though is filled with malicious site warnings from Norton. Thank you so much for the new chapter!! thanks for the release but how do i download this file? do i have to disable adblock on my browser because of the shortened url? is it possible for you to post the direct download link? Hi! Hmm… I guess you can disable your adblock for our site only. I can’t give out the DD links since we depend on the ads even tho they give out small cents. Yay, thanks for a new chapter of this!